Fall has arrived. 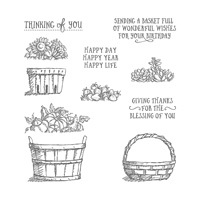 Deliver a basket full of love and joy with our upcoming Basket of Wishes card making class. 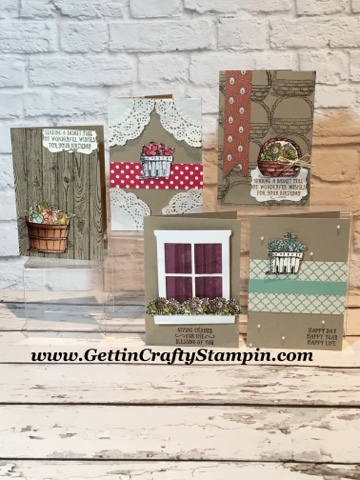 Join Us Friday, October 7th, to create and connect over this fun 20 card making class. 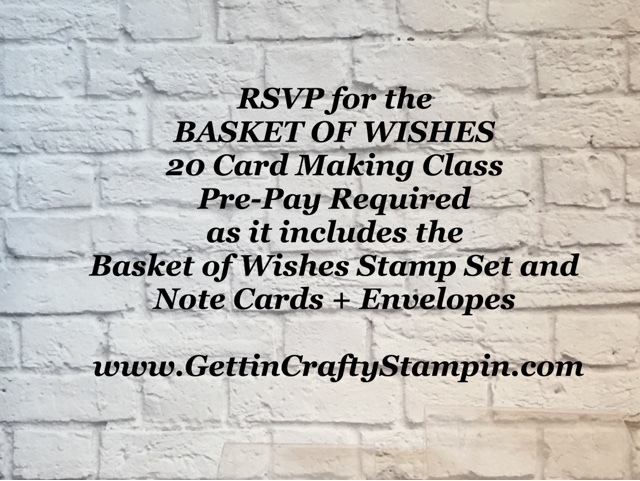 HURRY and RSVP ~ these sparkling cards and stamp set require us to pre-order and orders are going in TOMORROW for this sparkling, colorful and beautiful card making class. 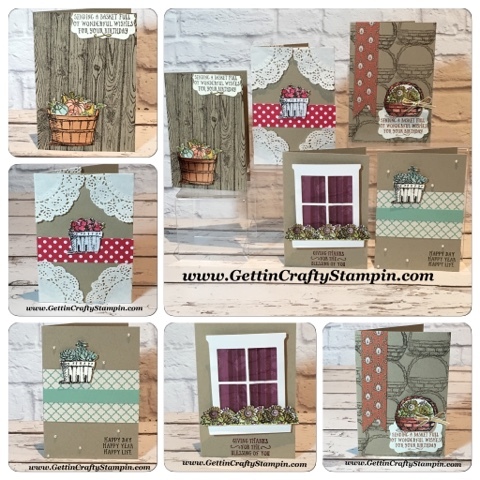 One of my favorite stamp sets, this collection is so much fun to work with!! See this cute card we recently created with this very, berry cute stamp set. 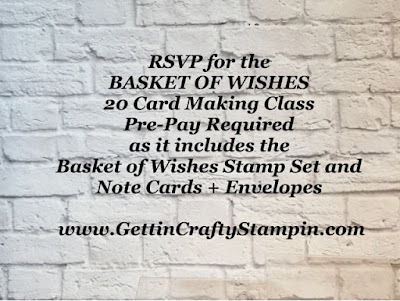 This class includes the stunning Basket of Wishes stamp set, 20 Crumb Cake Note Cards + Envelopes. Take it In-Person or To-Go (and have the collection and private tutorial delivered to you). We would LOVE to have you Join Us this week. 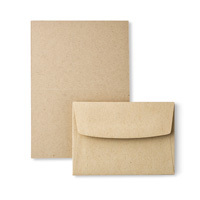 Deliver a collection of beautiful handmade cards that you created! Hurry and RSVP (above) to receive this class on-time for this Friday.